What better way to have your home shoveled out when over two feet of snow falls on the community of Long Lake? This is the best way to handle it. Almost as good as a snowplow. 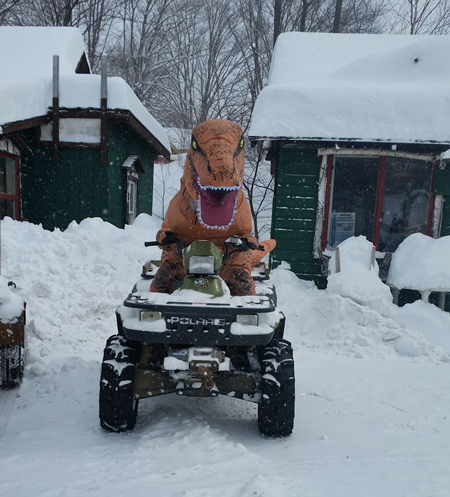 The T Rex was spotted in Long Lake, NY near Hoss’s Country Corner shortly after a March blizzard socked in the community of Long Lake located in Hamilton County NY. Hamilton County is the most sparsley populated county, the third largest east of the Mississippi with the fewest people, so it’s no surprise a T Rex has made himself at home in the community. 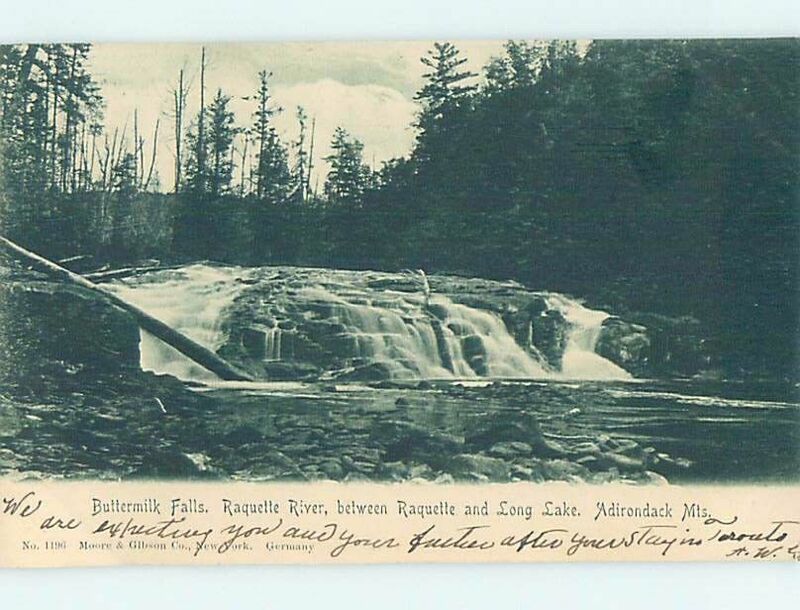 While the weather was a brisk 18 degrees the day the T Rex made an appearance, there was speculation that dinosaurs have actually survived all along, but these prehistoric creatures were living amongst the forest of the Adirondack Park. We’ve determined this T Rex to be human friendly. The T Rex loves to do landscaping, mowing lawns and handing out candy at parades.